Can you hold the line against the invading hordes? Citizens, soldiers, and allies of the Roman Empire unite in Pandemic: Fall of Rome! Raise armies, defend your cities, and forge alliances to ward off relentless barbarian incursions. 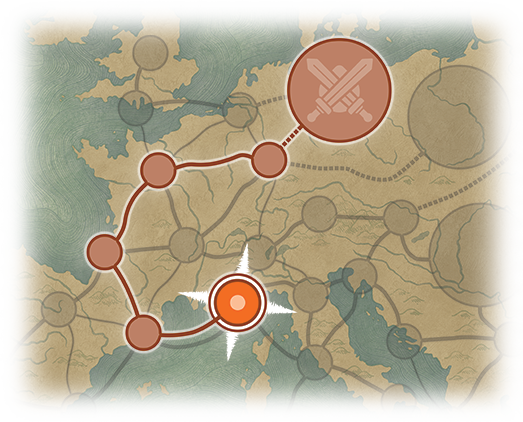 Can you hold the line against the invading horde and prevent the fall of Rome? Pre-order Pandemic: Fall of Rome today from our website or your local retailer! Decades of economic crisis, aristocratic decadence, and political corruption played their part in the decline of the Roman empire. However, while Roman society crumbled from within, a weakened military left their broad borders open to invasion and conquest from countless Germanic tribes, such as the Anglo-Saxons, Goths, and Vandals, and other formidable foes such as the Huns. 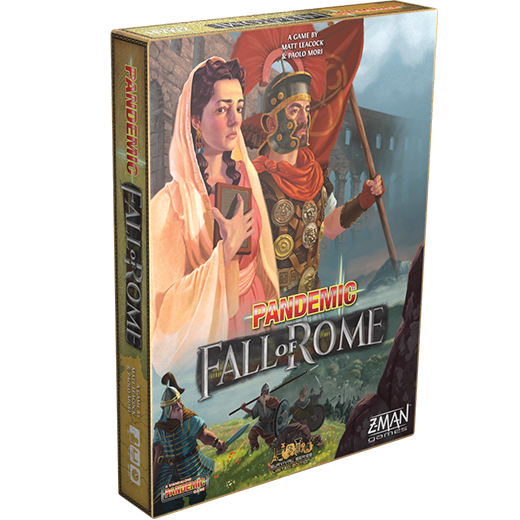 In Pandemic: Fall of Rome, members of these tribes migrate through the cities and countryside of the Empire. If left unchecked, these warriors will sack cities, proceeding along the path on their way to Rome itself. Though representing formidable members of Roman society, the players cannot simply quell the barbarian threat by themselves. Players must gather soldiers of the Roman legion, guiding them through the Empire and battling the invading hordes using a set of custom dice. We'll discuss the battle mechanic more in a future article so stay tuned. Simply defending is not enough; players must find a way to stop the incursions and find peace with their neighboring peoples. 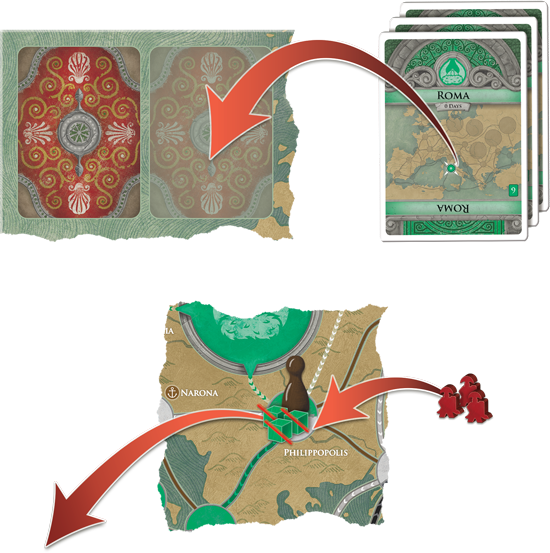 Players collect sets of matching-colored cards in order to forge an alliance with the different tribes. In doing so, they gain the ability to use cards matching the tribe to convert other members of that tribe into Roman soldiers, furthering their ability to hold the line against other invaders. 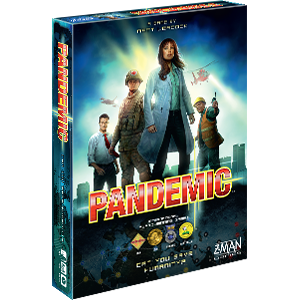 Pandemic: Fall of Rome also features a unique play mode for the solo gamer as well as an additional challenge for the seasoned group. Solo players will take on the burden of being the Emperor and command three different roles to try and protect the city from the invading hordes. Players who want to tackle a more difficult game can try the Roma Caput Mundi Challenge by adding more Revolt cards to the deck. They must also respect the law in Rome that Roman legions are not allowed in the city. Can you defy destiny and prevent the fall of Rome? Pandemic: Fall of Rome will be $49.99 and release in Q4. Pre-order your copy today, and keep an eye on the website in the coming weeks for more details!